This week’s issue of Kerrang! 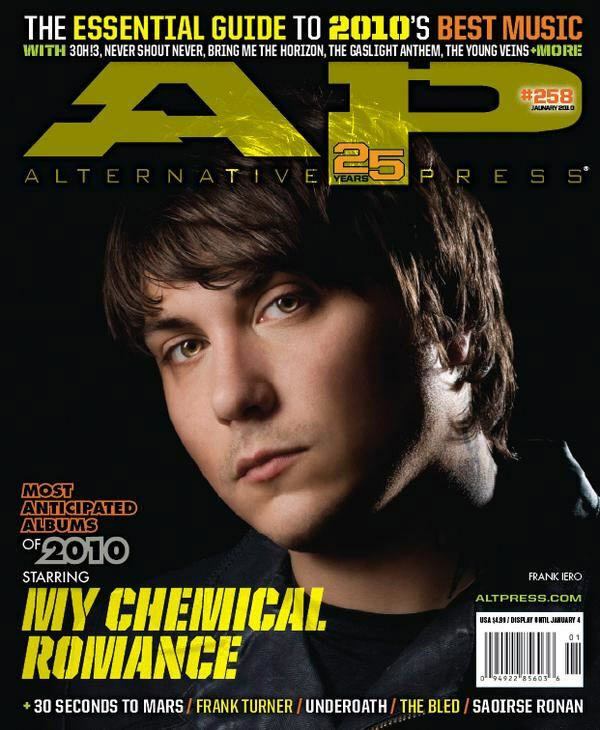 magazine is a My Chemical Romance special!! Kerrang! 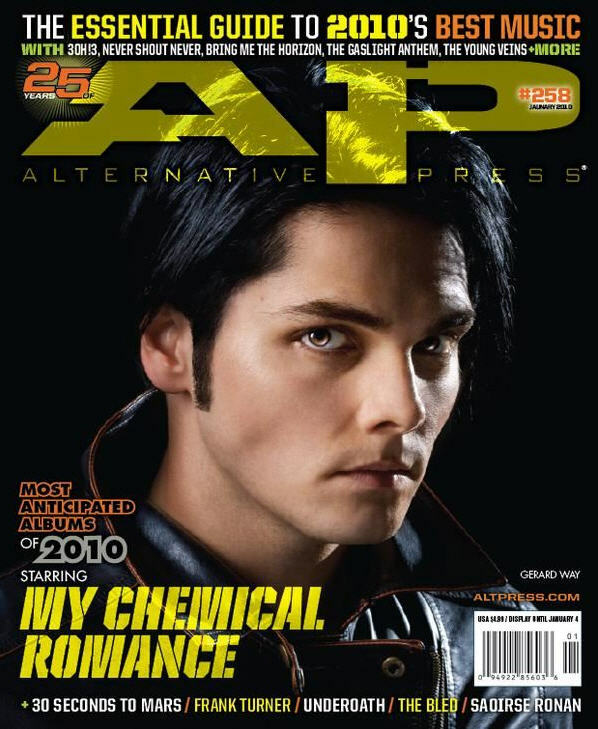 magazine was given exclusive access to the Gerard, Frank, Mikey and Ray who revealed all about life after The Black Parade and gave the inside story on Danger Days: The True Lives of the Fabulous Killjoys. Alongside an exclusive cover image of the band featured in the last issue, this week, there are four covers to choose from, each featuring a member of the band. Fans worldwide can get their hands on this must have issue by ordering from the Kerrang! website at www.greatmagazines.co.uk/kerrangmcr!! 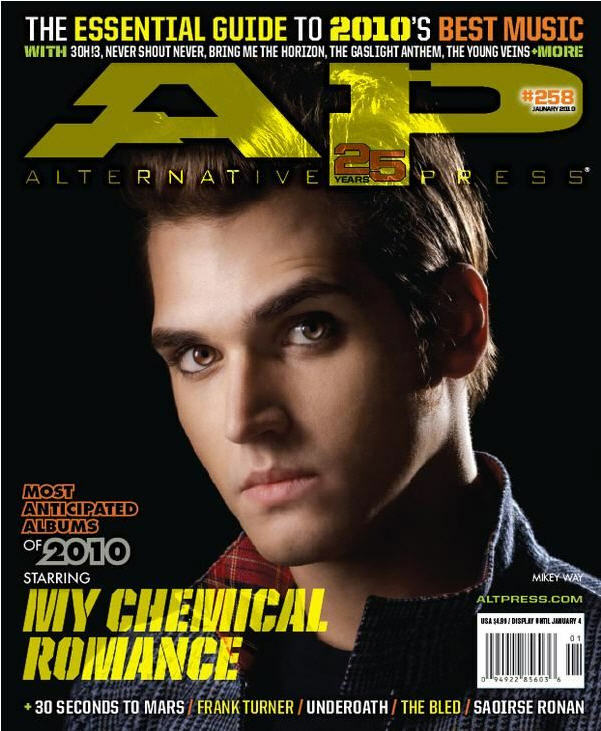 My Chemical Romance will grace January’s issue of Alternative Press with the most anticipated album of 2010. Each band member will have their own cover, and subscribers to the magazine will receive a special edition with all 5 members. 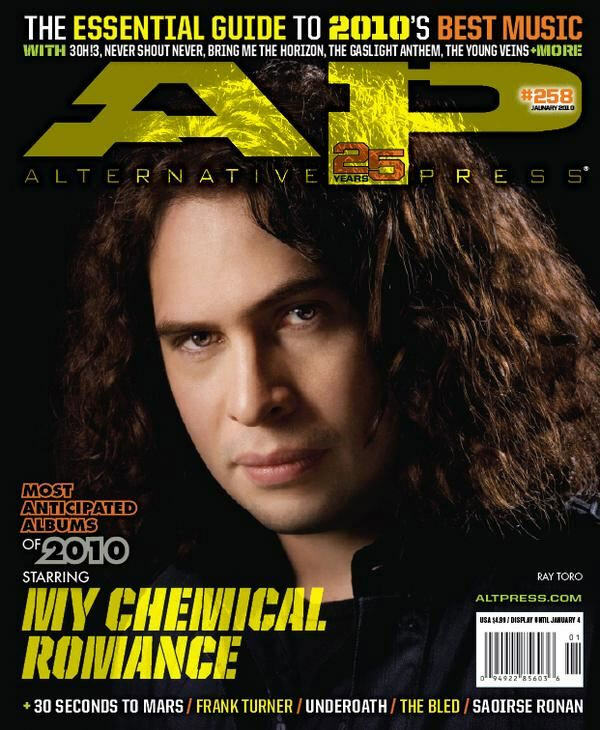 Check out the cover with all 5 of them, and then check out the covers for Gerard, Ray, Frank, Mikey and Bob. Head over to altpress.com to become a subscriber if you aren’t already. 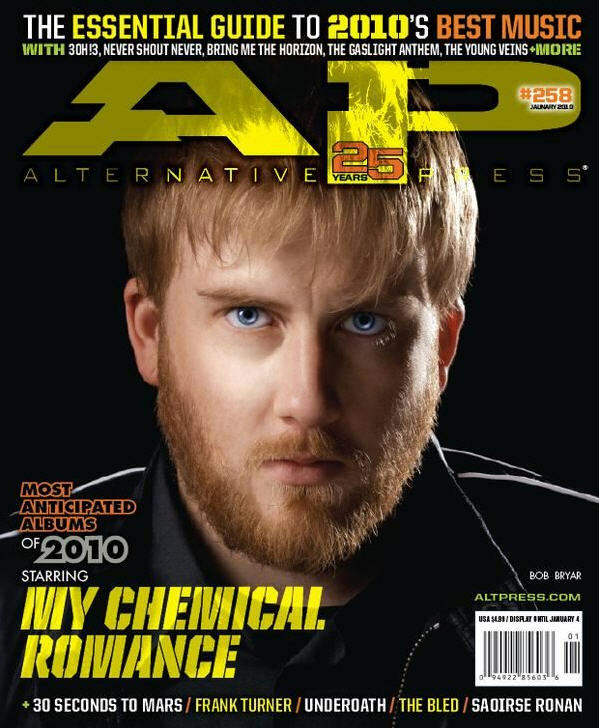 Comments Off on Alternative Press cover story! Rolling Stone & Kerrang features! MCR in Rolling Stone and Kerrang! MCR are featured in the new issues of Rolling Stone and Kerrang, with photos and interviews with the guys from the studio. Pick up a copy of each to read all about the upcoming album. Comments Off on Rolling Stone & Kerrang features!